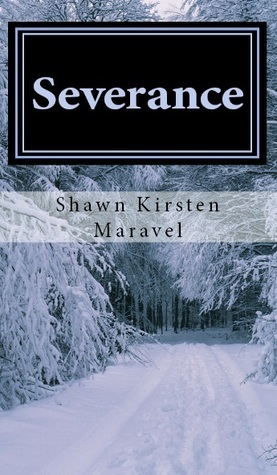 The story of Charlotte and Joel continues in Severance, the second book in the Volition series by Shawn Kirsten Maravel. If you enjoyed Volition, you will love Severance. Just like the first book, twists and turns will keep you glued to the pages. The story and characters are truly lovable. In the beginning of this book, I did want to slap Charlotte around quite a bit. To avoid a spoiler, there was something she really should have told her friends as soon as she knew the information herself. So, I was glad when they stopped speaking to her later in the book. It was deserved. Aside from her lapse in judgement, I fell in love with all the main characters. Even the antagonist grips you with his conflicting emotions and behaviors. Surprisingly, you'll even feel bad for him at times. Severance will have your blood pumping as you fight to survive with Charlotte. Depending on parental preference, there are a few intimate moments that are better suited for a more mature young adult audience. The writing style was consistant with the first book. Shawn Kirsten Maravel has a way of writing that grabs you into the world of her books. To learn more about this author and her books, visit her blog. You can also find her on Facebook and Twitter. This book was sent to me from the author for review. The opinions are my own. how did i miss this series? hmm..will ck them out!